The Wellspring is an umbrella organization focused on leading our community by serving people in need. Strengthening the lives of individuals and families is the tie that binds our programs together. Founded in 1931, The Wellspring is one of the state’s oldest and most effective non-profits. Our programming includes mentoring and positive youth development through our Youth Empowerment Program, formerly Big Brothers Big Sisters of Northeast Louisiana; counseling, therapy and supervised visitation services through the Counseling & Family Development Center; comprehensive residential and non-residential services for survivors of domestic violence, dating violence, sexual assault and stalking. We also provide an array of homeless and Veterans’ programs and services throughout Northeast Louisiana, serving some of our region’s most vulnerable individuals and families who are homeless, chronically homeless or at-risk of becoming homeless. The Wellspring is a 501(c)(3) charitable not-for-profit corporation. Donations to The Wellspring are tax deductible to the fullest extent allowed by law. The history of The Wellspring is much more than an account of the past; it is the foundation for the future. Its legacy is rich with committed individuals who have devoted themselves to the pursuit of widespread change–change that results in improved quality of life and brighter futures for individuals and families. The agency is a membership of individuals with names and faces whose stories and personal contributions have made history and will continue to make history for tomorrow’s generation. Since 1946, the agency’s headquarters has been located at 1515 Jackson Street in Monroe, in the Luther B. Hall home, listed on the National Register of Historic Places in America. This location is the current site of the administrative offices of The Wellspring. Through these many years of service The Wellspring has experienced numerous transformations to respond as effectively as possible to meeting the needs of the community. 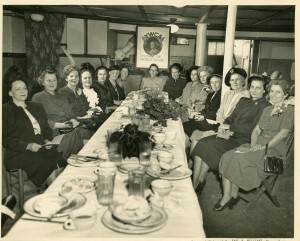 In its early years, the organization addressed the needs of young women coming to Monroe for the first time to work or attend school. Programs provided safe, clean housing as well as recreational, personal development, and leadership opportunities for girls and young women. Then responding to societal changes in the early eighties, the organization shifted its focus to answer the growing needs of the community. In 1980, The Wellspring began serving victims of sexual assault. Services were expanded in 1985 with the opening of the Mary Goss Battered Women’s and Children’s Shelter. 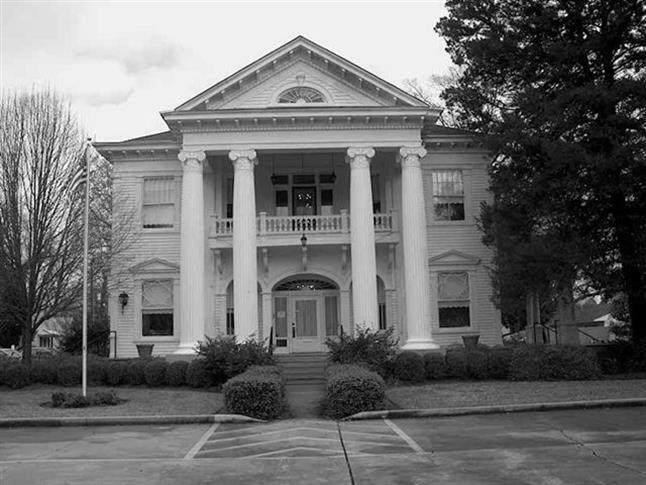 The 22-bed facility is the only safe shelter for the survivors of family violence in a nine-parish area of Northeast Louisiana. In the 1990’s, the agency’s services grew to include comprehensive and integrated services for men, women, and children of all ages and socioeconomic backgrounds to fulfill its mission of strengthening and valuing family. As the 21st century unfolds, The Wellspring continues to launch new initiatives in response to the growing needs of the people of Northeast Louisiana. Acting upon a deeply held belief in the value of collaborative efforts, The Wellspring has been instrumental in launching numerous community initiatives and is viewed by the public as a pacesetter and community leader. The many mission-based programs and services are under the direction of a competent, knowledgeable Board of Directors. An experienced management team and a talented, professional staff carry out the day-to-day operations of the organization. State and federal grants supply the largest percentage of funding, and local funding is provided through United Way of Northeast Louisiana, dues from a growing membership, and donations from the community. The programs serve the twelve parishes of Northeast Louisiana. Since its beginnings in 1931, the names, faces and services of the agency have changed; our purpose, however, has not. From our inception, The Wellspring has been about helping people envision and realize a future different from the past. From victims of sexual assault or domestic violence to individuals and families making a contribution to the community, The Wellspring is a place for everyone. History affirms the agency’s influence in bringing about life-changing outcomes. Built on a track record of proven results, The Wellspring forges ahead into the future, making tomorrow’s history today–with individuals, with families, and with communities. *Check out the years of history that made what started as a good idea in the Great Depression into one of the top nonprofits in the state and nation!